The HTC One Mini has been the subject of an increasing amount of speculation in recent weeks. Of course, this comes as little surprise given the success of the HTC One, the Taiwanese manufacturer’s current flagship model. This device has clocked up millions of sales, and gained a reputation as one of the most impressive smart phones available. The HTC One ticks all the boxes in terms of its high-end spec list, and stands out on account of its stylish design thanks to the durable and eye catching aluminium unibody. As its name suggests, the HTC One Mini will be a smaller version of the flagship model, but will come with a number of downgraded specifications and a more affordable price tag. While there is no denying that the HTC One is an outstanding smart phone, it of course commands a hefty price tag, so the HTC One Mini will be a great alternative for those who want a more affordable alternative or simply are not interested in owning a smartphone with the most advanced spec list. Although HTC is yet to unveil this handset, Android Authority has recently revealed that the device is likely to hit the UK on the 9th of August. The website reports that this information was posted on twitter by @vizileaks. Although this is not official information from HTC, the source has posted reliable information about unreleased smartphone models in the past, such as the release date of the Nokia Lumia 1020. 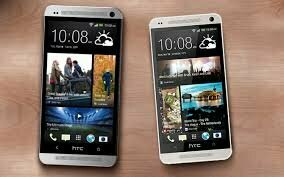 For the latest updates on the HTC One Mini, visit our website where you can also find the cheapest HTC One deals. Of course, we will not know the specifications of the HTC One Mini until the manufacturer makes an official announcement, but recent speculation has suggested that the device will come with a 4.3 inch super AMOLED display, quad-core processor, 4 Ultrapixel camera, Android 4.2 Jellybean OS and HTC Sense 5.0 UI, along with a similar aluminium chassis to the flagship device. We expect to hear more information about the features, release date and availability of the HTC One Mini in the coming weeks, as we approach its rumoured announcement so we will be sure to keep you posted with the latest details.